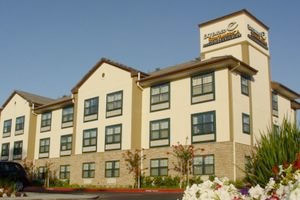 Welcome to Extended StayAmerica Fairfield - Napa Valley. Our hotel is designed especially for longer stays with newly renovated studios featuring fully-equipped kitchens and plenty of work space - amenities you won't find in a typical hotel room. Wireless Internet access available in all rooms, free grab and go breakfast and pet friendly rooms available. The fully equipped kitchen includes a refrigerator, stovetop, microwave, coffee maker, cooking utensils, dishes, and cutlery.